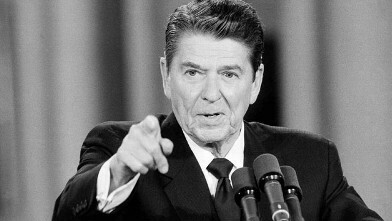 The Reagan Project website www.reaganproject.com goes live on December 1st 2013. The Reagan project also launched on Facebook and Twitter. Two reasons. First, because, as the debacle of Obamacare unfolds before us, the American people are finally waking up. The danger to our well being and liberty from the statists in Washington is now so obvious that most Americans are aware of it. And, I believe, they are ready to take action to preserve their country and way of life. the American people a mechanism, a channel for their determination to do what is necessary to defend and restore our freedom. Back to the first point. The wake up call of Obamacare is heard most clearly by the women of America. They’re angry, and when the women of this country get pissed off, there is hell to pay. Wives and mothers feel responsible for the health of their families, and they’re passionate about it. As Obamacare destroys our health insurance industry, the women feel the danger most acutely. And they’re not about to put up with it. I’ve seen this first hand in my own political career. When the Mothers Against Drunk Driving start lobbying a state Capitol, the best thing to do is get out of their way. Resistance is futile. You can’t reason or argue with them. They have lost family members to drunk drivers, they’re determined to do something about it, and they have the moral authority to get it done. Anyone who’s ever been involved in grass roots political activity knows that such movements are only possible with the involvement of committed women. They’ll do the work, as they always do. The most successful grass roots political organization in American history was the Women’s Christian Temperance Union. They not only got a hard drinking people to outlaw alcohol, they put it in the Constitution! All women. Political amateurs. In many states they didn’t even have the right to vote. But they were like Terminators. They wouldn’t quit, they just kept coming, and for the first time in American history a constitutional amendment was adopted which was essentially a law, not a general rule. In the spirit of the WCTU, we find our inspiration and hope. Prohibition was a terrible idea, but the fact that those women, of 100 years ago, were able to pull it off means we’re capable of succeeding as well.